Unilight Electric: Why Choose Lutron? Today, energy efficiency is an essential element of every home and business. Lutron has been providing energy-saving light control solutions for more than fifty years. When considering your options, keep in mind that Lutron dimming saves energy without sacrificing style or convenience. For single homes, buildings, or large commercial campuses, Lutron offers dimmers, occupancy/ vacancy sensors, light control systems, and shading solutions to reduce lighting energy use, optimize system performance, and enhance the visual environment. 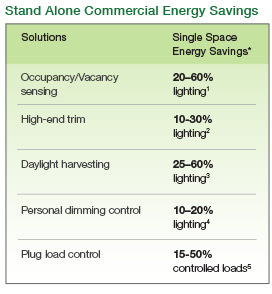 Every commercial space, small or large, can realize energy savings by installing Lutron light controls. Easy-to-install wireless control options provide quick retrofit solutions to help buildings meet and exceed building energy codes including ASHRAE standards. There are many ways to save energy throughout a home; from dimmers, occupancy sensors and whole home light control systems, to window solutions that manage daylight and help control heating and cooling costs. 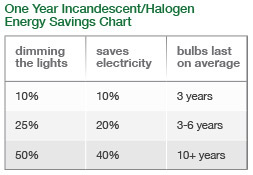 For guaranteed savings, Lutron eco-dim® solutions automatically reduce your energy by 15% or more. Combine dimmers, timers, sensors, and window shades to maximize your energy efficiency.